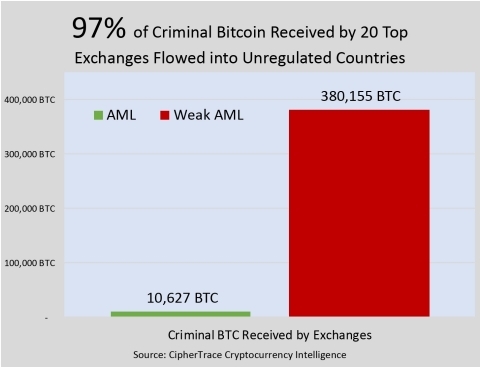 MENLO PARK, Calif.--(BUSINESS WIRE)--Efforts to enact and enforce strong cryptocurrency Anti-Money Laundering (AML) regulations are drastically reducing criminal activity on digital currency exchanges, according to new research released today in the CipherTrace 2018 Q3 Cryptocurrency Anti-Money Laundering Report. The study revealed that 97 percent of direct bitcoin payments from criminals went to exchanges in countries with weak anti-money laundering laws. 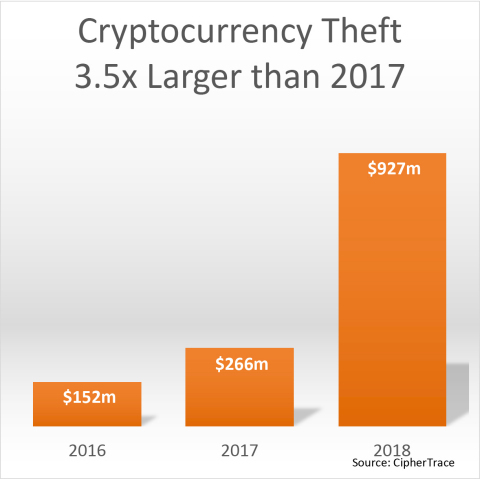 CipherTrace Q3 Cryptocurrency Anti-Money Laundering Report finds regulations are drastically reducing criminal activity on digital currency exchanges.